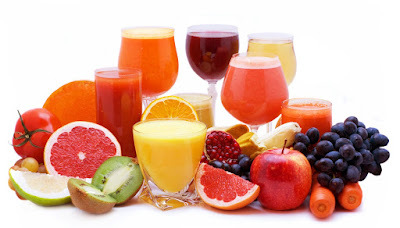 Pour the orange juice into a smoothie maker or blender. Add the kiwi fruit, strawberries and ice. Blend until smooth. Pour the milk, honey and yoghurt into a smoothie maker or blender. Add the bananas and ice cubes. Blend until smooth.